Once the nuisance wildlife has been removed, our technician will look around the whole house, inside and out, assessing any potential openings for further infestations. He will then offer to repair any damage done to your home by the animal. 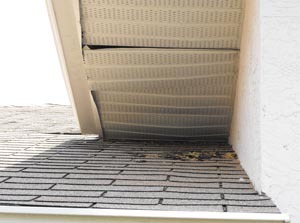 Often, the soffit around the eaves has been damaged, creating an entrance for the animal. 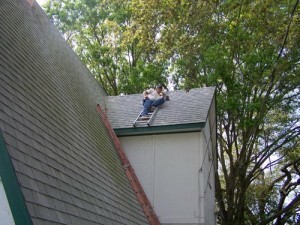 There are always other ways for animals to gain entrance to your attic, and we know them all. If you wish to have the repairs done after getting a fair price quote from our technician, the work can often be done at that time.